Kimagro uses only top reputable Fish Feed suppliers that are sustainable in their own practices; sourcing their fishmeal and fish oils from responsibly managed fisheries, using efficient feed transportation and waste management. Levantina Fish are fed Ad libitum so that their growth and metabolism simulate their natural rhythms as far as possible thus ensuring animal welfare which in turn produces a fish of superior quality. 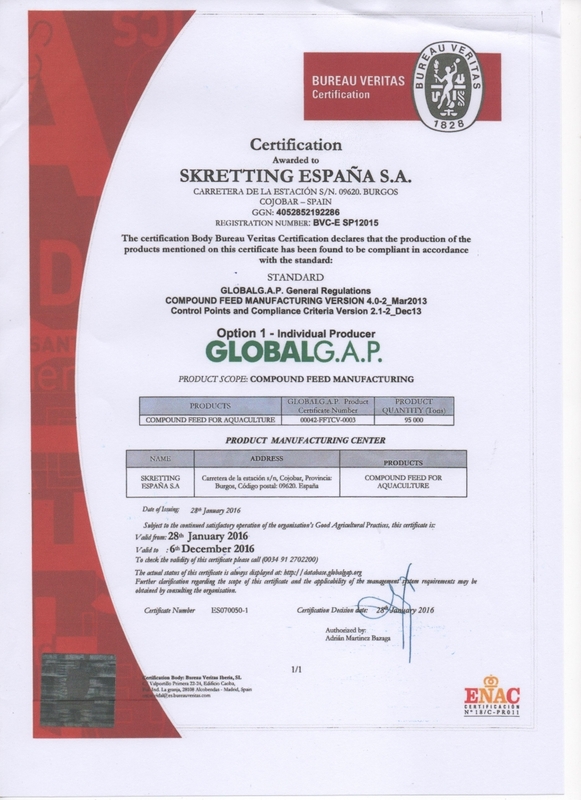 Only sustainable Fish feeds are used at Kimagro’s Fish Farm that do not contain GMO ingredients, hormones, growth enhancers or animal proteins (PAPs). Regular tests are done on its feeds by the local Veterinary Authorities and on a separate basis by the Farm as part of Kimagro’s regular checks to ensure traceability. 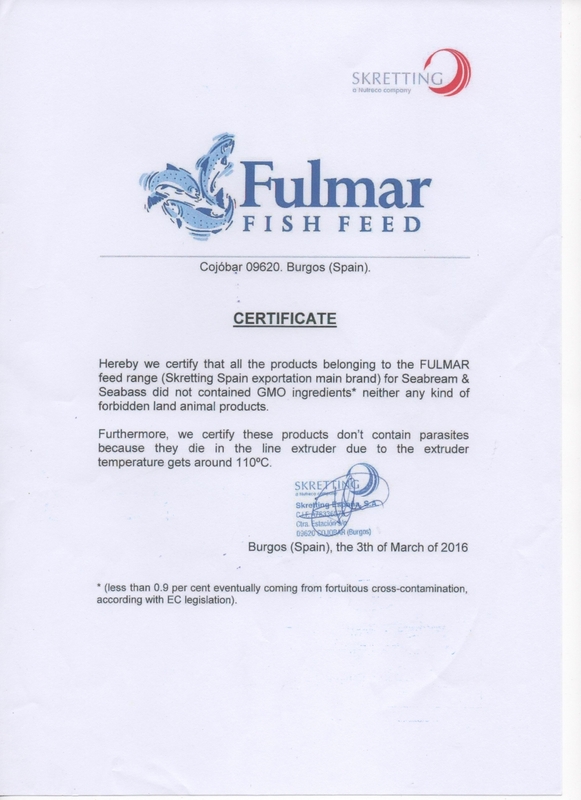 Full traceability of Fish Feeds by way of batch numbers are tied into the Kimagro traceability system concerning its full practices and record keeping.